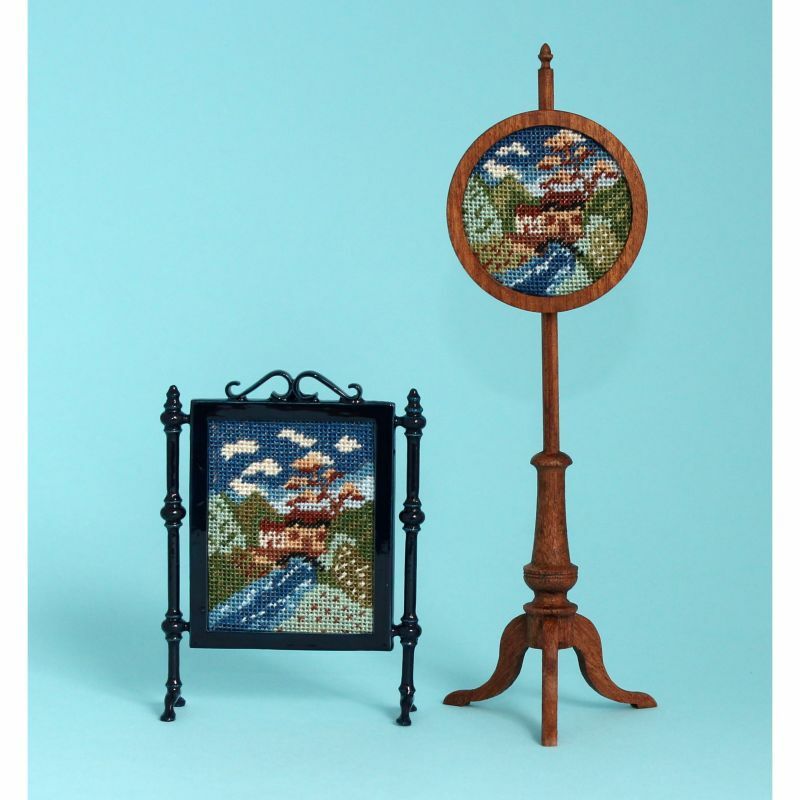 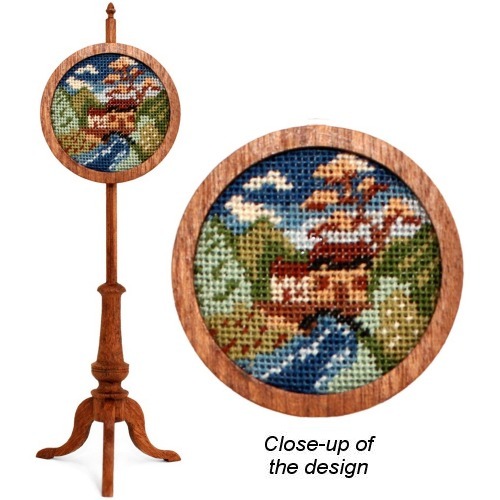 The kit includes 32 count silk gauze, colour block chart and detailed instructions, Anchor stranded cotton, a suitable needle and high quality mahogany pole screen pieces, which are simple to put together with wood glue. 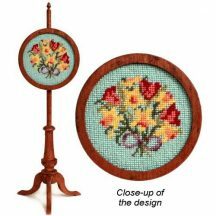 The pole screen can be finished with wax polish and buffed to a soft sheen (a Wood Finishing Pack is available separately). 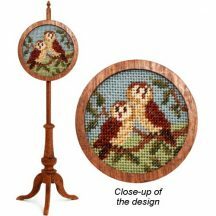 When assembled, the pole screen stands four and three quarter inches high. 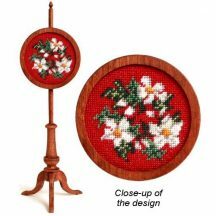 The round frame measures one and a half inches in diameter. Two little cottages nestled in a valley by a river.